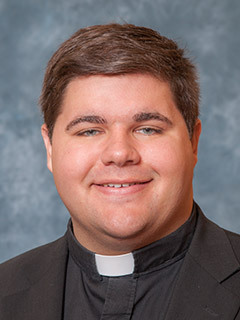 Deacon Jacob VanAssche, originally from St. Stephen Parish in New Boston, Michigan, will be ordained to the priesthood for the Archdiocese of Detroit next Saturday, May 23 at Detroit’s Blessed Sacrament Cathedral. Jake has been a familiar face at Tridentine Masses around the region, having served as Subdeacon at Solemn High Masses. His home parish occasionally celebrates the Extraordinary Form as well. Please pray for Deacon Jake as he embarks upon this most important step in his vocation. Many if not most people who attend the Traditional Latin Mass come for one or two driving reasons: 1) They appreciate the solemnity and reverence of the Tridentine Mass, and 2) They dislike, perhaps even intensely, the informality and abuses present in so many Ordinary Form liturgies. Rightfully do so many adherents of the Tridentine Mass point out the disregard for liturgical decorum found at so many parishes. Such practices are in violation of norms restated in a seemingly endless flow of Vatican documents from the past four decades. However, it is time that we recognize a growing and frankly disturbing trend in Extraordinary Form Masses: Disregard for the rubrics of our own Missal. It used to be the case that the average Extraordinary Form Mass was done with careful attention to the rubrics. Pre-2007, pre-Summórum Pontíficum, when there were around half as many Tridentine Mass sites in North America as there are today, the Traditional Mass was a more precious commodity. Perhaps because of the delicate political maneuvering that used to be required to establish a Mass site back then, departures from liturgical standards seemed rarer. Paradoxically and to this writer’s thinking, inexplicably, in today’s era when the number of instructional books and materials about the Old Mass has blossomed, it seems that more and more abuses are creeping into many Tridentine Mass sites. Every official document issued by the Vatican since 1984, when the Tridentine Mass was re-introduced to the worldwide Church, has been clear that the 1962 Missal was to be followed, with certain minimal updates specified since then, such as the new Good Friday Prayer for the Jews. Nowhere was it permitted for pre-’62 Missals, rubrics, or calendars to be used. To our knowledge no exceptions to this rule have been doled out to any religious order, society of priests, or monastery, therefore no one may deviate from this norm. The one scholarly, universally accepted, and continually updated guide to the celebration of the Extraordinary Form for the English speaking world is Fortescue, O’Connell, & Reid’s Ceremonies of the Roman Rite Described, currently in its 15th edition published in 2009. Similar but older guides to the liturgy have been superseded by this book and therefore cannot be considered primary references. The book provides clarity on a number of subjects. For example, the celebrant is not to be incensed after the Gospel in a Missa Cantata, the Sung Mass without Deacon or Subdeacon. Further, torchbearers are to remain in place from after the Sanctus till after the tabernacle is closed after Holy Communion; there is no provision for any of them to accompany the celebrant to the Communion Rail. If we are so quick to criticize abuses in the Ordinary Form – and every Catholic does have the right to properly celebrated liturgy – then we had better use our liturgical knowledge and skills to offer the most faithfully celebrated Extraordinary Form Masses according to the 1962 rubrics. If we do not, we’re nothing more than hypocrites. Liturgy cannot be what we “like”; it must be what the Church wants and specifies. Lest anyone think this is a self-righteous position to take, it is also important to acknowledge that virtually no site celebrates the Tridentine Mass 100% perfectly according to the rubrics. However, the deviations one sees may well be attributable to circumstance, not preference. For example, if a church insists that oil candles be used at the altar, despite the rubrics specifying beeswax candles, or if safety dictates that processional candles be extinguished during Mass lest they risk catching something on fire, or if a celebrant absolutely refuses to wear a maniple, we have to do what we have to do to make the Mass go on. This is an entirely different matter than choosing to do other than what the rubrics and accepted references specify without a suitable justifying reason. Let us be obedient to the norms which Holy Mother Church and her internationally recognized experts set before us. We can assure our readers that Masses of the Oakland County Latin Mass Association and the St. Benedict Tridentine Community strive to be as faithful as possible to liturgical standards. Interesting topic (Should the Confiteor be said again before Holy Communion). My parish, St. John Cantius, always has the Confiteor before Communion. So do all the FSSP and SSPX Masses that I've ever been to. Elizabeth: they are wrong. In addition, there is at least one ICK priest who does the same thing (and a number of other deviations); they are no better than the plaid-clothed guitar-strummers of the OF. During the time the EF was the norm, the second Confiteor was - and still is - a very fruitful practice that was included in Holy Mass for many more years than it was excluded. It was stripped out of the Mass, along with many other beautiful practices, in 1955 for the sole reason of laying the groundwork for the NO and the real abuse to follow, which drew Catholics away from union with Christ. There was a plan in place in the fifties; no breach of the magnitude of the NO Mass could have occurred in a few short years. First the people had to be drawn slowly away from lives that centered on the Church. I love my 1962 missal but can still acknowledge that it was the last missal before we went over the edge. Variations such as the second Confiteor cannot plausibly be compared to the actual abuses tied to the NO. It is not an “abuse” but simply a restoration of a former practice - discontinued for a few short years - that absolves venial sins and helps prepare us for Communion. "they are no better than the plaid-clothed guitar-strummers of the OF"
When the holy priests of three well-known orders (FSSP, SSPX, ICK) devoted to the Tridentine Mass use the second Confiteor they are as bad as a guy in plaid strumming modern Church music on a guitar? What an unfortunate overstatement. The 2nd Confiteor is not a “deviation” but rather the continuation of a long-established practice that in 1962 had only been omitted for 7 years (for questionable reasons). The removal of the 2nd Confiteor – not the inclusion - was the actual deviation, if one wants to use that word. While adherence to older custom in the Tridentine Mass is certainly worthy of debate it is not logical to equate it with the seismic breaks to modernity that mark the NO, of which plaid-clothed guitar-strummers are but one example. Mary, Brilliant! Thank you! You are absolutely right! That's something that needs pointing out these days, especially with those who want to equate traditionalist "issues" (even the SSPX, for example), with contemporary dissenters, heretics, and apostates. @Mary: Well said. Thank you. The second confiteor has a longstanding place in the Roman Rite (dating back to the 13th century, according to Fortescue). It remained in the Roman Rite, indeed, until nearly the very end - right up to 1960. It was only the final ediitio typica, that of 1962, where it was dropped. So it was only a reality for the last few years in which the traditional Roman Rite remained the normative one for the Latin Rite Church - a very brief period. That said, it is true that the 1962 missal omits it, and we are obliged by Church law to adhere to the missal we are authorized to use. And yet it must be pointed out that, notwithstanding the PCED letter of 4 July 2007, some communities have received guidance, usually unofficial but there just the same, that they recognize that recitation of the second confiteor where it has been the local custom is happening. I have heard this from the FSSP and St. John Cantius (which do not do so uniformly but, again, where there was already a custom in place under the indults). Fr. Z reprints one such communication back in February 2008. In any event, this is the sort of rubrical allowance that has long been part of the history of the Roman Rite. And this one has seven centuries of practice behind it, whereas the deletion by John XXIII has...a few years. And yes, it's worth adding as a final point that it *is* possible to sin between the first and second confiteors. Dad29's comment comparing the recitation of the second confiteor to plaid-clothed guitar-strummers is thus badly out of line. We should indeed be wary of "liturgical cafeteria-ism" in the TLM, but this question of the second confiteor doesn't really rise to that level. And while Msgr Perl seems to have had some animus against it, the general attitude of PCED over the years seems to have been to live and let live on this question. One day, I hope and believe, we will have an indult to restore many if not all of the elements reformed by Pius XII and John XXIII, if not the 1945 missal itself (the last editio which truly preserves the ancient Roman Rite fully intact), and that will render discussions such as these bootless. But until then, the second confiteor, at any rate, is not an issue to get worked up about.